L10 motor assembly powered by the Smart Drive / ODS Control 10 & E-Port Controllers OEM Part # 15.121.000. 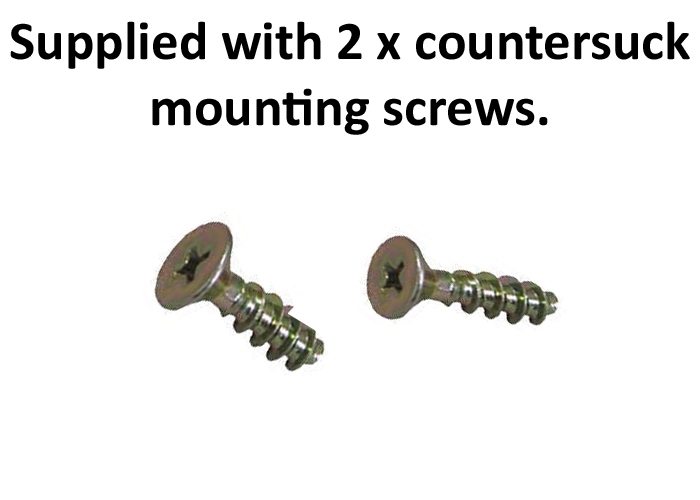 Home/HOME & GARDEN/BLINDS, AWNINGS & ROLLER SHUTTERS/OZROLL ROLLER SHUTTERS/ROLLER SHUTTER SPARE PARTS / COMPONENTS/L10 Motor assembly powered by the Smart Drive / ODS Control 10 & E-Port Controllers OEM Part # 15.121.000, with 2m of cable & 2 x mounting screws..
L10 Motor assembly powered by the Smart Drive / ODS Control 10 & E-Port Controllers OEM Part # 15.121.000, with 2m of cable & 2 x mounting screws..
For a full conversion from a strap control to the low voltage E-Port Controller you will need the parts listed here as well as the adapters below. 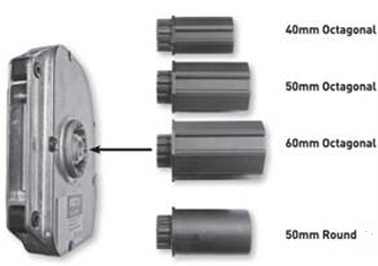 Select an Axle Adaptor if converting from a strap control or old Mech 10 motor. You will need an axle insert if converting from strap control or upgrading from the old Mech 10 motor. IF YOU ARE UNSURE OF THE VOLTAGE SUPPLY YOU MUST CONSULT WITH A QUALIFIED ELECTRICIAN. The L10 is designed to fit in the Hood End Plate, rather than inside the axle like other motors. Mounted to the end plate via two mounting holes located at the front . The L10 is housed in tough die cast aluminium housing and is supplied with 2m of cable attached with spade connectors also attached, that connects to the wall plate. (5m is the maximum length of cable permitted). The L10 is suitable to most Hood End plates 160mm and above. Internal End Stop Limits: 18 turns (in other words the motor turns 18 revolutions then stops automatically it can then be operated to turn in the other direction and stops after 18 revolutions). Curtain weight: 1sq mtr = 4kg = 4square meter of shutter (for example, 2000mm x 2000mm window maximum) or any other combination that equals 4 square metres or less. You may be replacing an old Mech 10 Motor (pictured below on the RH Side) these are no longer available and have been superseded by the L10 motor (pictured below on the LH Side) NOTE THE WORDING ON THE STICKERS, THEY ARE EASY TO IDENTIFY. If replacing the old Mech 10 motor you will need one of the axle adapters below as well as a Red Axle insert for the Idler end on a 50mm round aluminium axle..
Axle Adapters 50 mm Round is the most common. Red Axle Insert with bearing (below) goes on the opposite end to the motor. NOTE: IF RETRO FITTING from Strap control or Mech 10 and using a new Red Axle Insert (below) the 50mm round axle cut length is box width os-os less 96mm. Note the white and black sticker/labels on the two motors below RH side says "SMART MECH 10" LH side says "ODS - L10". The MECH 10 is now superseded and no longer available the ODS - L10 is the replacement but you will need the adapters listed above. THIS IS A LOW VOLTAGE 12V System it is relativly easy for a handyman to achieve a motor changeover or retrofit, download the instructions "Click Here"
Once the motor is installed and working, before engaging the axle and shutter curtain to the motor - run the motor in the downward direction until its stops itself, this may take some time as the motor limits are set at 18 revolutions for shutters up to 3m in height. (In simple terms the motor counts the number of revolutions and stops at a pre determined count of 18) Press the down button again to ensure its fully down, then simply insert the axle into the motor by alingning the spline on the axle adapter, rotate the axle so that the back of the top curtain slats sit against the back of the box. Resistance causes the motor to stop on the way up (at the top) this is achieved by using stops in the shutter guide.Basically the controller senses a large change in current draw and turns the motor off. This means there is no limit settings required during installation. 1) The shutter curtain must be all the way down and the axle exposed. Firstly ensure your controller is sufficiently charged or use a controller from a window you know is working. Press the down button multiple times until the curtain is down (it may only move a few mm at a time). If you get no movement pressing the down button have someone outside hit the end of the headbox where the motor is with a rubber mallet or hammer with a block of wood whilst the down button is pressed (this seems to sometimes be enough for the brushes to make contact for short intervals). 2) Once the curtain is down if you can't rotate the axle. To acess all pop rivets securing the idler end you may have to cut through the old Mech 10 tube insert assembly imediately at the end of the axle (NOT THE AXLE). 3) Pulling out the 12v wiring. The wiring cable may pass through some very small holes and pass around tight metalic (Aluminium) corners. 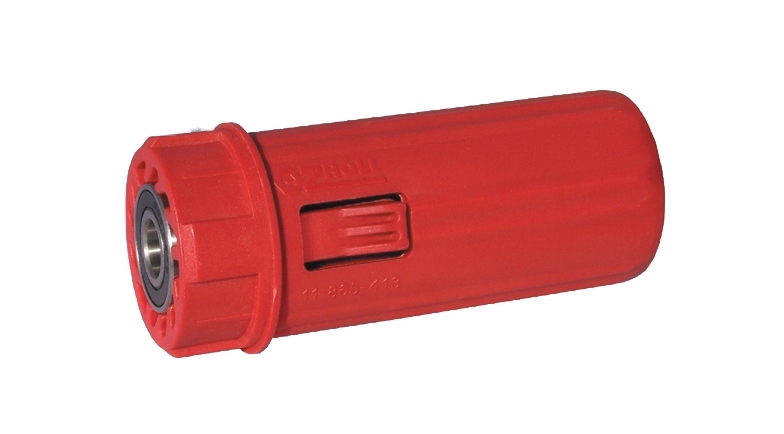 If its a standard installation as recomended by Ozroll the wire loom exits the headbox and passes down a cavity in the roller shutter guide track (found on each side of the roller shutter) then exits the leg guide at a point level with the controller mount inside the house, and passes through the wall, sometimes through holes with only 8-10mm in diameter. Inside the house remove the plastic controller mounting cradle from the wall and disconect the wiring by detaching the spade terminals. CONSULT WITH A QUALIFIED ELECTRICIAN if you have any doubt about the system. Tie some strong string to the cable ends where spade terminals are I use builders string doubled and looped (see image below). Tightly cover with electrical tape but ENSURE the overall diameter is no larger than the black plastic sheath covering the red and black wires and ENSURE the whole winding remains flexible (dont wind too much tape.). Pull as much wire from the wall as possible and lubricate with CRC or silicone spray. Go outside and find where the wire exits the headbox and apply liberal amounts of CRC etc. down the hole if exiting into the curtain guide track. Pull the wiring out, you may need someone inside giggling the wire whilst attempting to remove. It may be nessesary to partially remove the screws securing the guide track to access the wire and feed it around the corner. Simply reverse the prosess to install the wiring. If you are retro fitting from an old strap controll or old Mech 10 motor and using the red axle insert the axle cut lenght is Hood Box outside to outside measurement LESS 96mm. A 25 x 4mm slot will need to be cut lenthways into the motor end of the axle to accomodate a key on the black plastic axle adapter. Test for correct motor direction when pressing controller buttons if incorrect simply swap wires on the controller. Simply insert the axle into the motor by aligning the spline on the axle adapter with the female spline receptor in the motor, correct alignment is when the back of the top curtain slats sit against the back of the box a security measure so that the top of the curtain engages with 2 x slat cut offs fixed at the top of the back of the box. TEST the UP and DOWN MOVEMENT STOP AT THE CORRECT POINTS if successfull mount the Hood Box cover thats it your done. Thank you so much for the very quick postage of the ozroll motor. It arrived yesterday afternoon, is now fitted & the roller blind is work fine. I would happily recommend your business. Everything was as described. The motor came with clear instructions and the shutter is working fine again. Really Happy with the service and products, would recommend them in a heartbeat! !